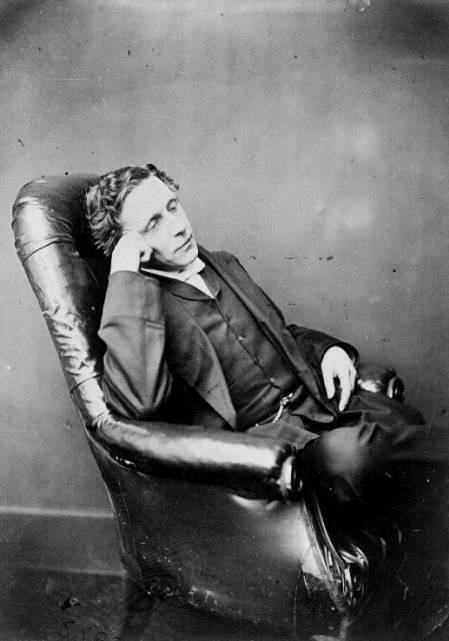 The whimsical world of Lewis Carroll may be best known through his novels Alice’s Adventures in Wonderland and Through the Looking-Glass, but his poetry is infused with the same clever word play and imagination for which his novels are regarded. 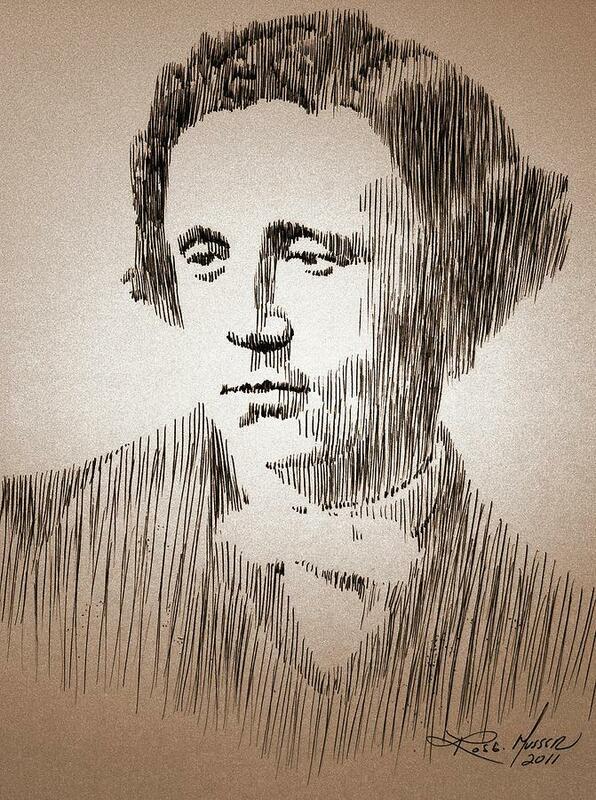 Lewis Carroll was born Charles Lutwidge Dodgson in 1832 in the parsonage of Daresbury in Cheshire, England. 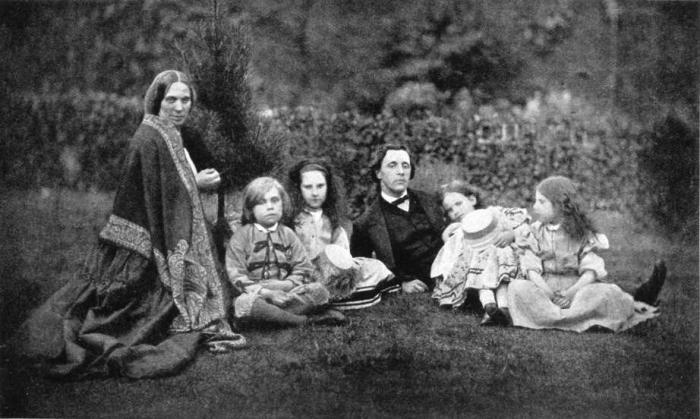 The third of eleven children of Charles Dodgson and Frances Jane Lutwidge, young Charles was the oldest boy. A precocious student, young Charles applied himself especially well to mathematics, eventually winning the Christ Church Mathematical Lectureship, which he was able to hold for the following twenty-six years. 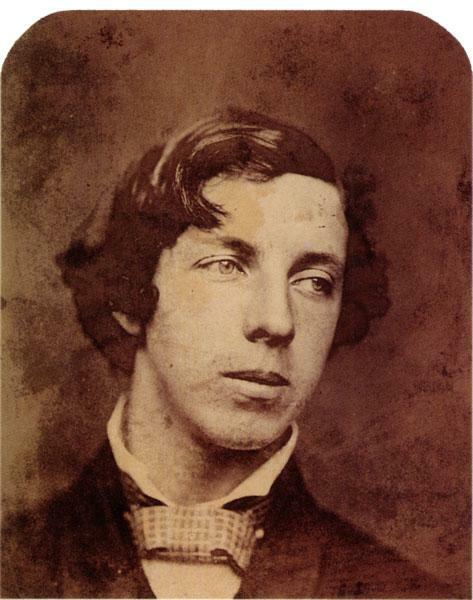 As Charles Dodgson, he wrote many books and articles about mathematics. 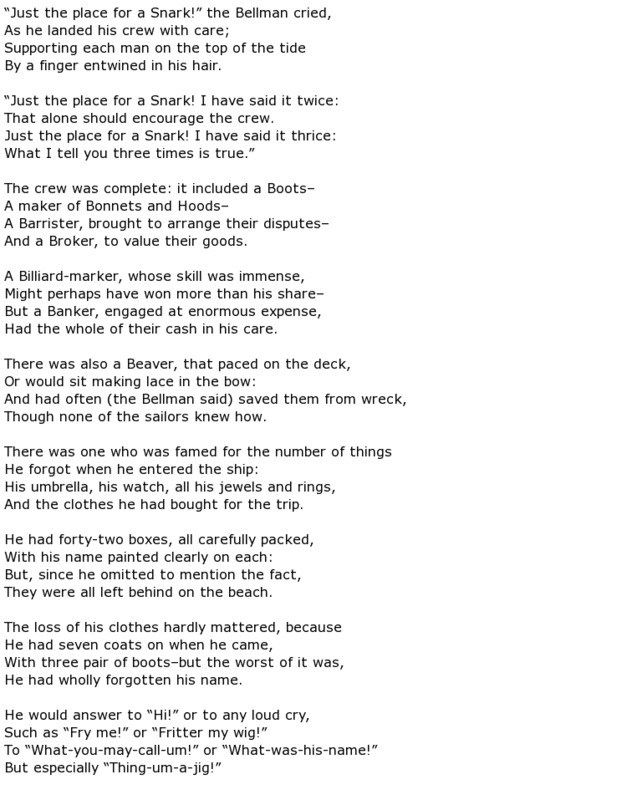 It was poetry, however, that Charles was drawn to even more than mathematics. 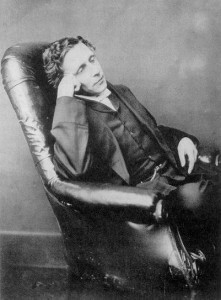 He published his first poem, “Solitude” in 1856 under the pseudonym he would become famous for – “Lewis Carroll.” His arrival at his pseudonym belied the talent that Lewis Carroll would be known for; Lewis is an English version of the name Ludovicus (Latin for Lutwidge), whereas Carroll is an English version of Carolus, which is Latin for Charles. 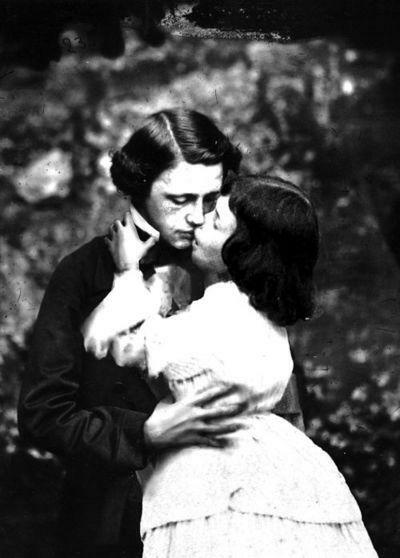 Lewis Carroll’s most renowned books – those featuring the character of Alice – had a most auspicious beginning. 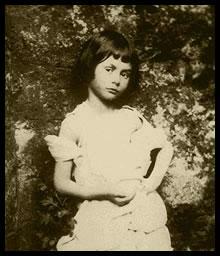 Carroll conceived the story of Alice’s adventures while entertaining the daughter of a friend, who just so happened to be named Alice. The rest is history. 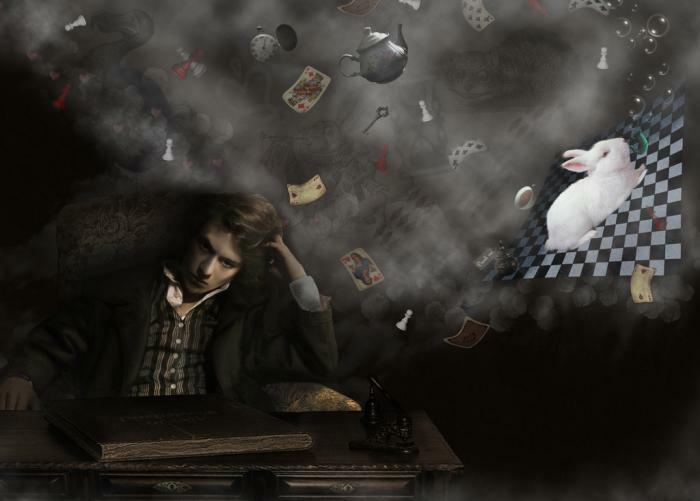 Alice’s Adventures in Wonderland and Through the Looking-Glass have become classics. 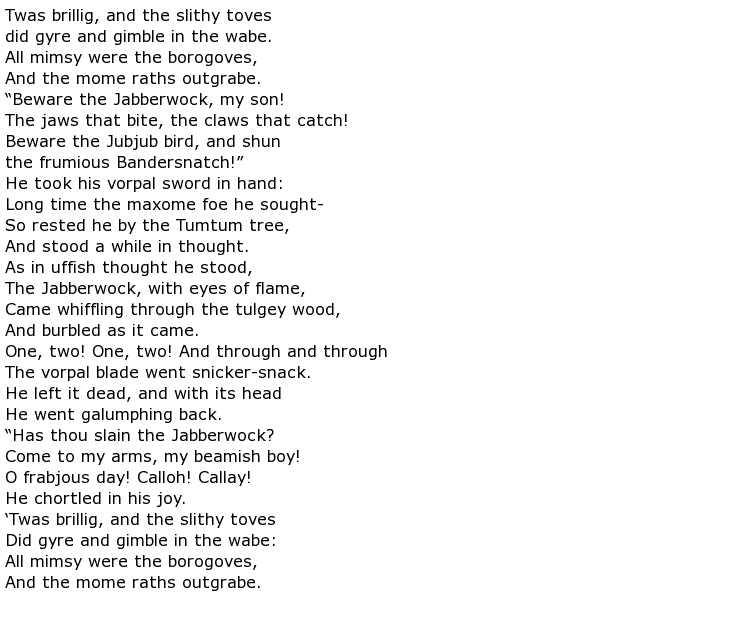 A silly play on words, “Jabberwocky” continues to delight children and adults alike. “Madrigal” has the same sense of irreverent humor that is integral to all of Lewis Carroll’s work. 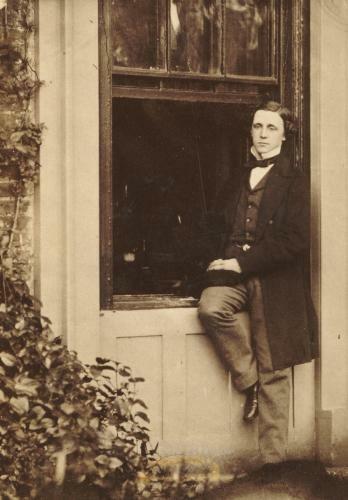 Despite the popularity he gained as poet and author Lewis Carroll, Charles Dodgson the shy professor kept teaching mathematics at Christ Church until 1881, and stayed at the college until his death in 1898 at the age of 66. 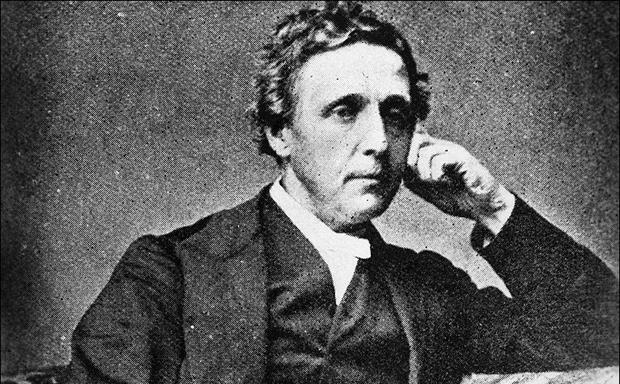 Both Dodgson and Carroll’s poetic and prose legacies live on – even today, Lewis Carroll is one of the most celebrated poets and authors in history.